The very first thing that filled my heart with joy and I instantly knew I was in the right place by the strong, spirit filled worship that preceded every service. 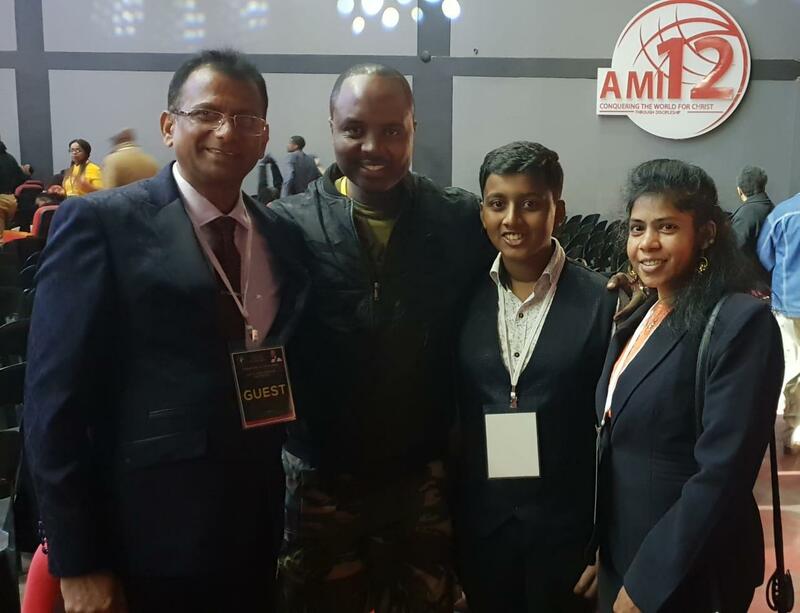 Aaron and KSM Team members (Andrew and Valerie) with Minister Jaypee. He is the one who holds the mike when Prophet Alph Lukau ministers prophetically. Though he is so well known, he is a very humble man. 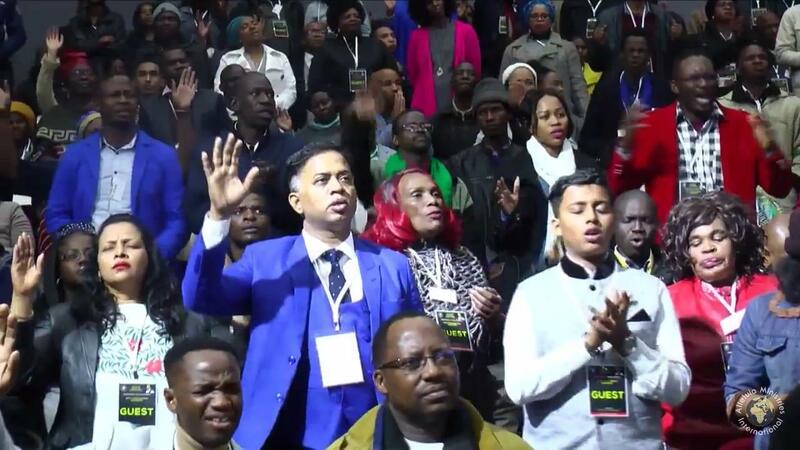 At AMI, I witnessed the power of God in all dimensions (Prophetic, Healing and Deliverance). I have never witnessed power demonstrated in this manner in so many years of my ministry like I did at AMI. One of the amazing miracles that comes to mind is this one. 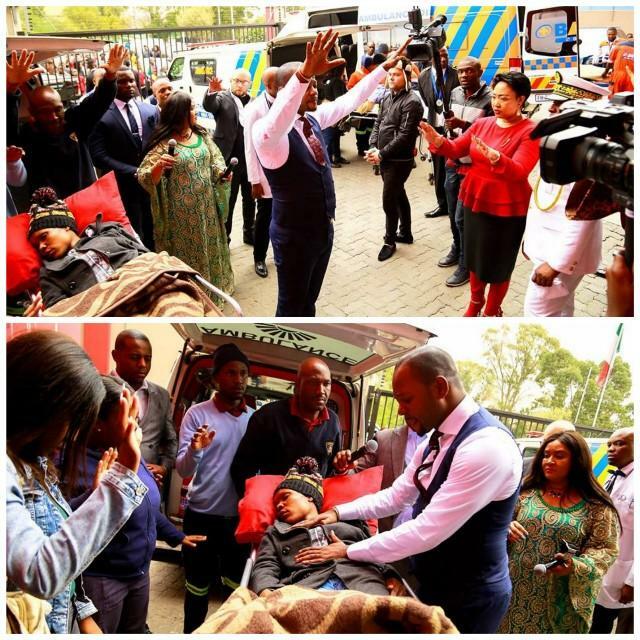 3 ambulances with patients from far as swaziland came to the church with terminally ill patients. 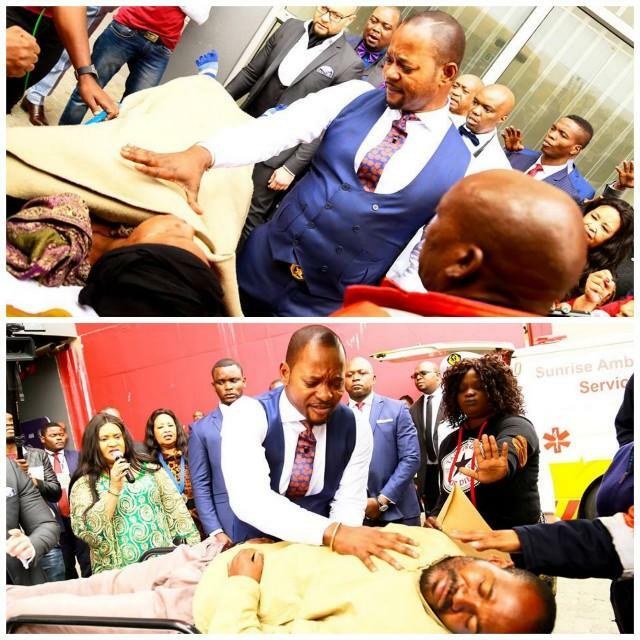 Prophet Alph ministered to them one on one even on the stretchers. They got up from their stretchers and walked. The crowd went crazy and started shouting praises to the LORD. I imagined the same thing must have happened when Lord Jesus healed people. 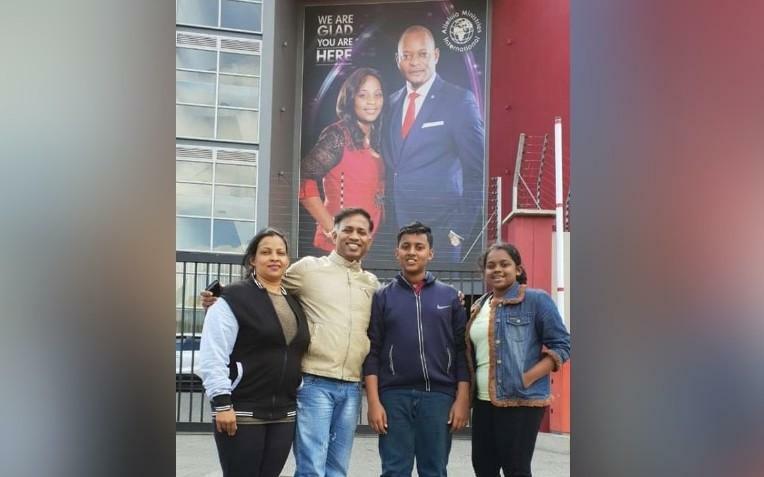 Prophet Alph Lukau called Pastor Anita and me in the front of everyone on Saturday after Prophet Charles spoke about us and Karuna Sadan ministry in Mumbai. I invited him to Mumbai, India and he agreed that he would come. Also had the wonderful privilege to meet another great Prophet of God, Jay Israel who is mightily used by the LORD. He too expressed his desire to come to Karuna Sadan.